We knew this stage would come soon, but it has arrived sooner than our expectation. Last year, Xiaomi did not excel in creating the same buzz as it created with its phones in the year 2014. In December 2015, Xioami refused to disclose its sales numbers to the media. Many reports claimed that it might be due to uneven profits or unreached targets of up to 80-100 million devices in 2015. However, the actual sales number are out now and they are fairly disappointing for Xiaomi. Seemingly, Xiaomi only sold 70 million smartphones in 2015, which is 10 million less than its target. Even 80 million was not company’s original target, Xiaomi was targeting to sell around 100 million smartphones in the year 2015. The company did make sale increase of 16% annually, but it is considerably lower than 226% of sale increase in 2014. Many would suggest that the reason behind the decline in sales figures is due to Xiaomi’s stint outside China. But, that’s not the only case, there are a variety of other reasons that lead to such crunch. In our opinion, Xiaomi did not have a unique business model to start with. Another reason is the shrinking domestic market in China and turtle growth in regions outside China. 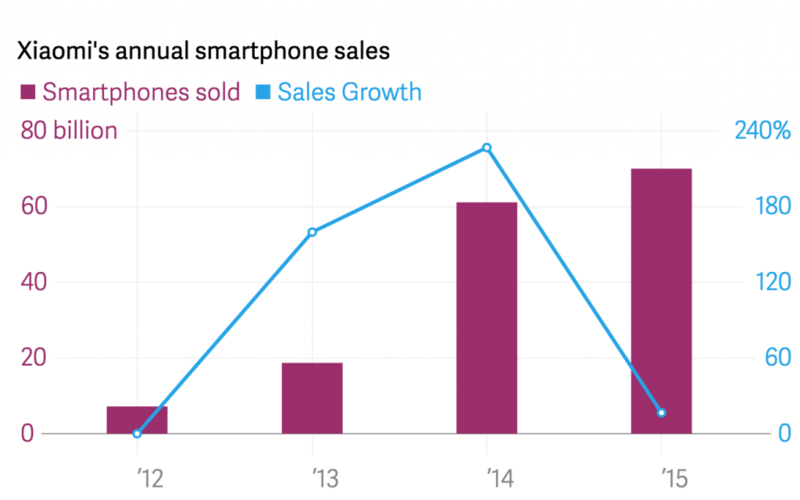 Honestly, the 2015 sales numbers do not look encouraging enough for a company like Xiaomi. With its grand sales in the year 2014, Xiaomi was able to attract many top-notch investors. This new sales report predicts a rocky road ahead for Xiaomi. Summing it up, Xiaomi did get a hint of its shrinking smartphone business. Taking a cue, it is now trying to foray into the business of home devices and wearables categories to diversify its revenue stream. However, Xiaomi needs to manage its focus shift from China to India and Brazil. It needs to keep its plan a little different from rivals who are following the model started by Xiaomi. Let’s see if 2016 proves to be the year of market reclaim for Xiaomi. K3 Note was Lenovo’s trump card and it paid off well because Lenovo provided excellent specs at such a low price, even if they were selling it at a loss, volumes still helped Lenovo a lot. Besides the company was already quite popular even before its smartphones became common. Public relations. Look it up. Creating media hype does not directly translate into sales. Brand like lenovo is a very strong name. Despite being chinese. Even gionee is a better option in india than xiaomi. They have a presence.